Scarpa’s Gea RS is a boot designed for women who take their backcountry ski adventures seriously. 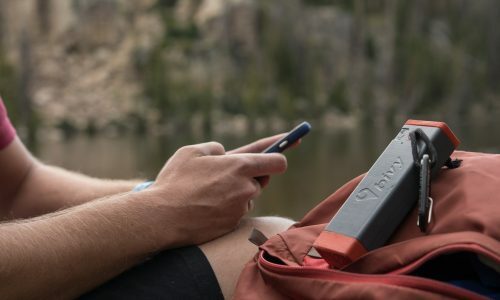 At 5.5 pounds per pair, they travel light without compromising on downhill performance thanks to the Grilamid/Carbon shell which offers a stiff 120 flex rating. They feature Scarpa’s improved external walk mechanism which gives 60 degrees of cuff rotation (20-degrees more than its previous model). 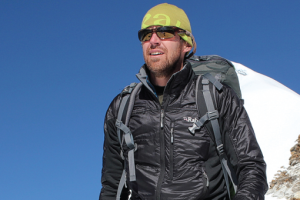 The Gea RS is the closest we’ve come to a true one quiver Alpine Touring boot. 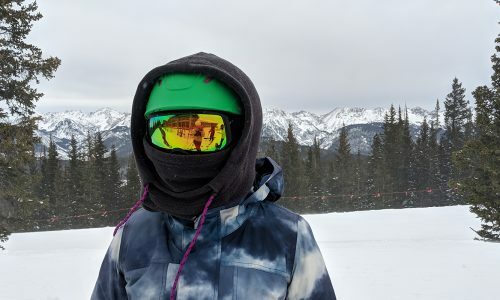 They move like a charm in the backcountry while handling in-bounds ski conditions with remarkable responsivity and power. Based on what I see in the backcountry and on resort it’s no surprise to hear that the Scarpa Gea and Gea RS are one of the bestselling women’s AT boots on the market. 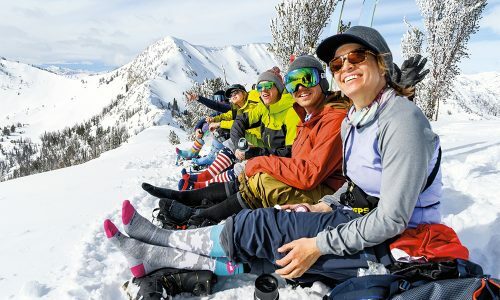 Scarpa’s complete series of AT boots underwent a major upgrade in 2017 and before the upgrade the Gea and Gea RS were already popular and proven boot designs with key features that included a women’s specific last, Intuition liners and a Heel Retention Strap not offered standard in many other women’s AT boots. It’s always difficult to imagine where a boot manufacturer is going to go with a boot design that is tried and true – until they go there. 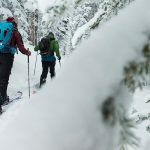 The current model of the Gea RS is a technical looking boot that looks like it’s been designed for women who take their backcountry adventures seriously. Looks aside, the real and practical appeal of this boot now lies in its lighter weight, it’s downhill performance and the 60º range of motion experienced in walk mode. Hats off to Scarpa who have been manufacturing women’s ski boots with a purpose-made last for some time now. The Gea RS’s dedicated female last is slimmer in the mid-foot and heel areas than its male counterpart the Maestrale RS and offers additional clearance around the calf area to make space for a woman’s curvier legs. Following a professional sizing, fitting, and heat-mold the Gea RS’s were a seamless, firm and comfortable fit for me from the start, no break in period, no discomfort and no hotspots. My feet and legs are narrow to average in profile. I expect that if the Gea RS’s aren’t accommodating your proportions then the Maestrale RS’s would be worth a try. A pair of the Gea RS’s weigh in at around 5.5 pounds, that’s almost 5.5 ounces lighter than it was before the upgrade in 2017. Scarpa has achieved this in two significant ways. The most obvious and ingenious is the removal of a toe buckle by introducing a ‘wave’ closure system which uses a self-equalizing cable that is secured at multiple points then adjusted to fit using only one single buckle over the top of the foot. On top of this, the shell is lightened up by integrating Grilamid with long-strand carbon, this is also what increases the stiffness of the boot. To shave off even more weight and increase ventilation there is an exoskeleton design feature in the cuff of the shell also known as the Grilamid Evo V-Frame with Outdry venting. For such a light touring boot the Gea RS’s offer a responsive and powerful ski experience whether in hard-pack, chop or powder. 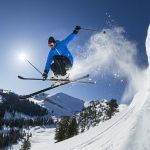 The three-piece shell design uses carbon-fibre/Grilamid nylon material underfoot which provides torsional rigidity and highly responsive power transfer to your skis. Scarpa has determined the Gea RS’s flex rating at 120 which is pretty much as stiff as it gets for a women’s AT boot. The buckle system design coupled with the articulated and firm Intuition liners limits loss of power that may result from heel lift or foot movement. Scarpa’s classic ankle strap buckle with the additional heel retention padding in the intuition liner locked my ankle in place better than any other women’s Alpine Touring ski boot to date. If you like to walk you’ll appreciate Scarpa’s updated Speedlock Plus ski/walk mechanism, which coupled with buckle, design and material upgrades added a whopping 20 degrees of motion (60 degrees total) to the Gea RS walk mode. The mechanism is highly accessible and simple to initiate – snapping up and down to engage or disengage. Ski mode locks in solidly supporting a rigid boot structure with no noticeable give. In order to attain the maximum range of motion in walk mode the top buckle needs to be undone and positioned all the way forward, the top buckle comes with a keeper to ensure there is no chance it will come loose and flap around while positioned for walk mode. 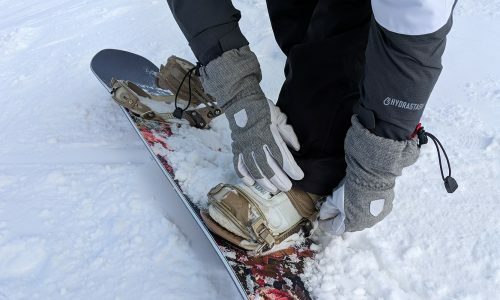 One thing to be aware of, particularly if you’ve been standing or walking in snow, is that the mechanism’s metal bar and latch can ice up and stop the lock mechanism from engaging correctly into ski mode. I expect Scarpa will be looking at ways to alleviate this in future product updates. 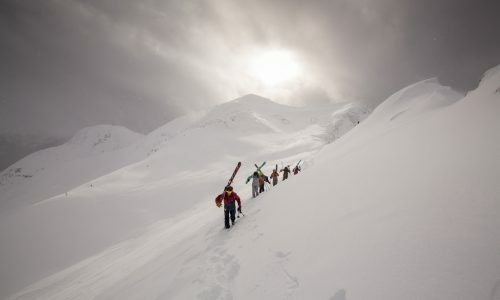 Traditionally being light-footed in an AT boot has meant a compromise on the ski down – it was accepted we either suffer on the way up with weight or give up some of the joy on the way down. This is where the Gea RS’s level things out, in the field it feels as though there is no compromise, the weight of the boot doesn’t hold you back from that extra lap at the end of the day and they’re powerful enough to respond to a more aggressive ski style. 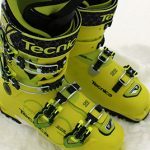 If you can only afford one boot and like to ski tour as well as resort ski—this is a true one quiver boot – the Gea RS will perform in and out of bounds. With a 120 flex rating the Gea RS is a stiff boot if you are after a boot with a little more give Scarpa’s classic Gea comes will all the same features and weight as the Gea RS the only difference is a flex rating of 100 and a handy $100 off the retail price.